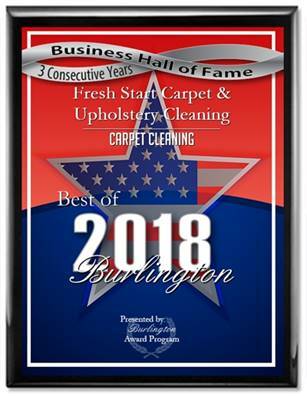 Why is Fresh Start Carpet Cleaning Southern New Jersey and Philadelphia’s highest rated professional carpet & upholstery cleaning company? Well here are just some of the reasons: We utilize truck mounted steam cleaning equipment, Trained, polite and uniformed employees, we specialize in pet odor removal, pet stain removal, carpet steam cleaning, scotch guard applications and deep clean fast drying carpet cleaning methods. We use pet and child safe low odor green detergents. Don’t take our word for it just look at our reputation on Google, Yelp and Home Advisor we have numerous 5 star reviews attesting to our cleaning methods and professionalism. We are a family/veteran owned company and we stand behind our work 100% Call and ask about our carpet cleaning specials, we have packages to suit all budgets.